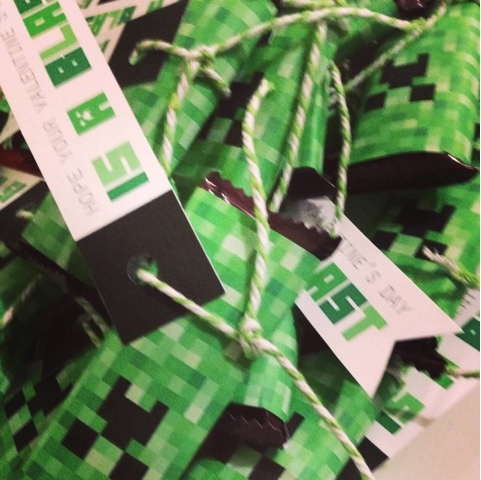 Midwest Moma Blog: Minecraft Creeper Valentine's! Valentine's with Boys can be difficult! Luckily my boys have pretty fun interests and we were able to tie these into our Valentine's! Creeper Valentine's were so fun to make! Down load the wrappers and the tags below! punch a hole in the middle of the black section of the tag, tie a piece string around the candy with the tag attached. If you have a Minecraft Fan, these Valentine's will be a perfect match!